The Purdue University College of Engineering has announced the five researchers selected as 2018 Lillian Gilbreth Postdoctoral Fellows, a program that recognizes outstanding scholarly achievement and innovative interdisciplinary research with a broad impact on society and industry. The incoming Fellows represent a range of interests, from electrocatalysts and nanophotonics to water quality, and from fluid-structure interactions for modeling blood vessels to brain-inspired computing and machine intelligence. The Gilbreth Postdoctoral Fellowships are awarded in memory of Lillian Moller Gilbreth, professor at Purdue from 1935 to 1948. A world-renowned pioneer in the application of psychology to industrial engineering, her work epitomized interdisciplinary research and broader impact on industry and society. The goal of the Fellowship Program is to attract and prepare outstanding individuals with recently awarded PhDs for a career in engineering academia through interdisciplinary research, training and professional development. Chinmay C. Khandekar received PhD and MS degrees in Electrical Engineering from Princeton University and earned a BTech in Engineering Physics from the Indian Institute of Technology Bombay, Mumbai, India. His research interests include nanophotonics, nonlinear dynamics, heat transfer and thermal devices. 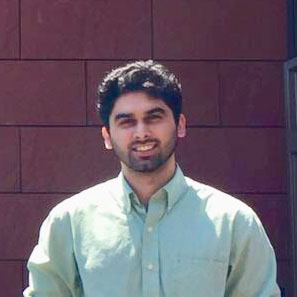 He will be conducting interdisciplinary work at nanoscale with co-advisors, Zubin Jacob, associate professor of Electrical and Computer Engineering, and Adrian Buganza Tepole, assistant professor of Mechanical Engineering, in the areas of nonlinear thermal radiation, nanoscale heat transport and quantum nanophotonics. 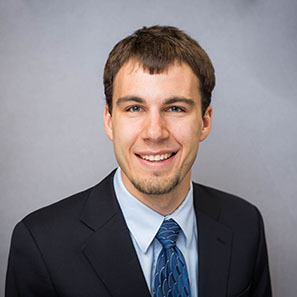 Jeffrey S. Lowe, is a PhD candidate in the Department of Chemical Engineering at the University of Michigan, graduating in December 2018. He also received an MSE degree in Chemical Engineering from the University of Michigan, and earned his BS in Chemical Engineering at Michigan Technological University. His research is focused on the atomistic modeling of renewable energy technologies. He will be working with his co-advisors, Jeff Greeley, associate professor of Chemical Engineering, and Christina Li, assistant professor of Chemistry, on research to develop a combined computational/experimental approach to develop structure-property relationships for electrocatalysts. Caitlin R. Proctor is currently a postdoctoral researcher at the Swiss Federal Institute of Aquatic Science and Technology at Eidgenossische Technische Hochschule (ETH), Zurich, Switzerland, where she also completed her PhD in Life Sciences through the MERMAID (Microbial Resource Management for Closing the Urban Water Cycle) fellowship awarded by the Marie Curie Initial Training Network. She received her BS and MS degrees from Virginia Polytechnic Institute and State University, both in Civil Engineering. Proctor’s experience in the area of microbiology, drinking water quality and building plumbing will positively impact the work of her co-advisors, John Howarter, associate professor of Materials Engineering and Environmental and Ecological Engineering; Paul Robinson, the SVM Professor Cytomics and professor of Biomedical Engineering; and Andrew Whelton, associate professor of Civil Engineering and Environmental and Ecological Engineering, and their drinking water and materials research project. 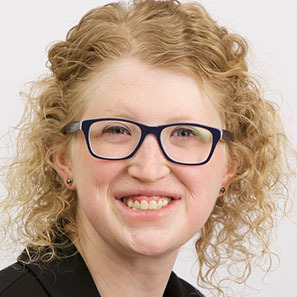 Kimberley A. Stevens will complete her PhD in Mechanical Engineering at Brigham Young University during the fall of 2018, having also earned her BS and MS degrees in Mechanical Engineering there. Her research is focused in the areas of phase-change heat transfer and superhydrophobic surfaces. 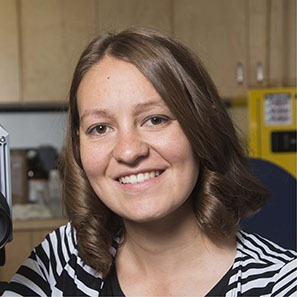 Although her degrees are in Mechanical Engineering, Stevens has significant experience in Biomedical Engineering and plans to work with co-advisors Ivan Christov, assistant professor of Mechanical Engineering, and Vitaliy Rayz, assistant professor of Biomedical Engineering, researching fluid-structure interactions for modeling blood vessels and biomedical devices. Hai-Tian Zhang received his PhD in Materials Science and Engineering at The Pennsylvania State University and a BS in Materials Science and Engineering at Yan Shan University. 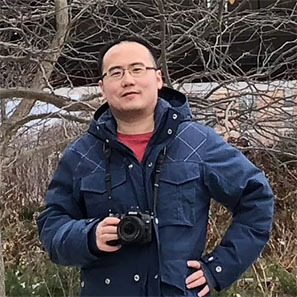 Although it is early in Zhang’s academic career, he has already published in several leading journals, including Nature Commutations and Nature Materials. He will be working with co-advisors, Shriram Ramanathan, professor of Materials Engineering, and Kaushik Roy, the Edward G. Tiedemann, Jr., Distinguished Professor of Electrical and Computer Engineering, to bridge the frontiers of quantum materials and brain-inspired computing and machine intelligence. Gilbreth Fellows are appointed for a two-year term, and receive an annual stipend of $60,000 and benefits. A $5,000 grant is also provided for professional development such as attending conferences or workshops and they are mentored for their future academic careers through a variety of programs.